Want to know how dangerous pollutants are to your health? For $12 an hour, you can find out directly. In the aftermath of US presidential elections and corporate fears of looming environmental regulations that could affect their bottom line, the Environmental Protection Agency (EPA) is under attack for conducting dangerous experiments on human beings. 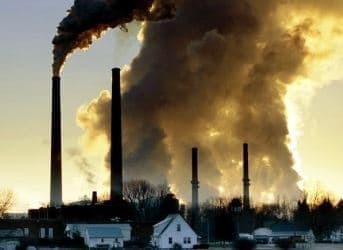 Over the past decade, the EPA has apparently been paying hundreds of people $12 an hour for the privilege of exposing them to high levels of air pollutants like diesel exhaust and PM2.5 particulate matter in an operation run at the University of North Carolina’s School of Medicine. A lawsuit has been filed in the federal court, charging the EPA with conducting illegal and potentially lethal experiments of hundreds of financially vulnerable people. Apparently, however, test subjects were not apprised of the exact risk involved. While the EPA has dramatized the dangers of PM2.5 exposure before Congress, with its test subjects, the message has been toned down to warn of the potential of airway irritation, coughing or shortness of breath. The courts will have to determine whether test subjects were sufficiently briefed on the risks. This is how the EPA gathers the research it needs to support the implementation of strict regulations. Two major new regulations that have actually been rejected by the D.C. District Circuit Appeals court are the Cross-State Air Pollution Rule and the Mercury Air Toxics Standard—both based on the dangers of PM2.5. The EPA is now reportedly evaluating its research on human subjects, in accordance with a Congressional request. In early October, Senator Jim Inhofe (R-Oklahoma), a ranking member of the Environmental Public Works Committee, called for a hearing to investigate the experiments. The obvious question is: If the EPA has been doing this for a decade, why is it only now becoming an issue? That, of course, can only be answered by politics, which tends to value human life in a selectively opportunistic manner. The story only reluctantly maneuvered itself into the mainstream media when “alternative” writer Seven Milloy of Junkscience.com dug it up and added a lawsuit to the mix after obtaining details of the experiments through the Freedom of Information Act (FOIA). Milloy is a dubiously interesting figure. A biostatistician and securities lawyer by trade, he picks his battles—and they aren’t necessarily “human interest”, so to speak. In fact, he spent his earlier days consulting for big tobacco and working to debunk science that shows how dangerous smoking is. Agenda aside (it’s always good to know agendas), Milloy makes an important point. The EPA insists that its experiments are independently evaluated for safety and ethics, those independent evaluations are conducted by the University of North Carolina (UNC), which has been paid over $33 million by the EPA since 2004. The point: independence here is questionable. Milloy is also a fellow at the American Tradition Institute (ATI), which has filed its own lawsuit against the EPA for illegal and unethical practices, comparing the experiments to Nazi undertaking and the Tuskegee experiments. This latter actually convinced Congress to pass the National Research Act of 1974 aimed at protecting human test subjects in scientific experimentation. The ATI has filed its lawsuit on behalf of one of the experiment’s test subjects, Landon Huffman, who claims he was led to believe that the experiment would help people suffering from asthma, like him. He claims he was never informed that the experiment would potentially cause asthma attacks, among other things. Of course, the EPA’s Clean Air Act of 1997 and subsequent moves to tighten air quality standards are quite irksome to the corporate world, which has to fork out billions of dollars to keep pace. That the EPA is conducting creepy experiments on human beings in order to make its case for stricter regulations is not news—it’s been going on, at least in this case, since 2004 and has never been a secret. It’s being pulled out now as a trump card with the intention of derailing new regulations. Regardless of the politics, though, no one wants to hear that an environmental “protection” agency is so Machiavellian as to use human beings as guinea pigs to determine exactly how dangerous our pollutants are—especially if they’re not being told what the real potential risk is.